Piedra Vista (NM) Head Football Coach, Jared Howell. 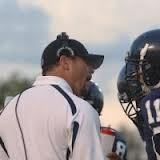 Piedra Vista (NM)- went from 3-7 to the state quarterfinals just months after their Triple Option Camp with Dr. Cella. Published February 3, 2016 at 160 × 160 in Triple Option Football Academy Camps with Dr. Cella.